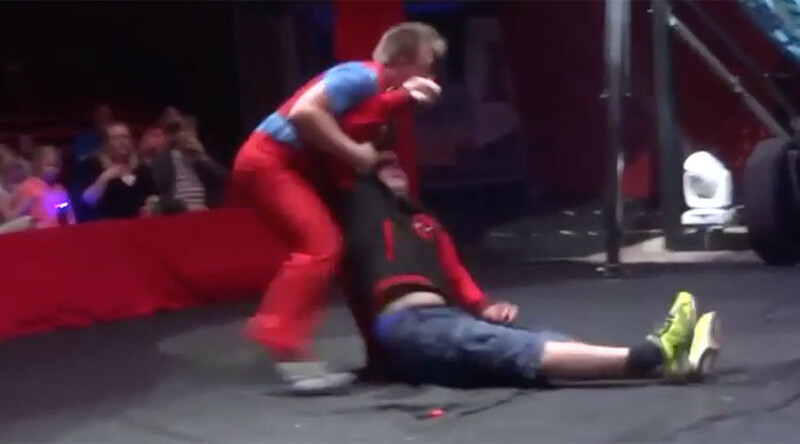 Ben Garnham, 37, was left motionless on the floor after a clown landed on his head at Circus Zyair’s show in Caerphilly, south Wales, on Monday. Garnham was picked out of the crowd to take part in the show. The clown asked the man to grab his legs before appearing to attempt a backflip, but landed on top of him, leaving Garnham with a cut head and swollen face. Three other circus staff then rushed over and carried an unconscious Garnham out of the ring. Garnham told the BBC: “I was very lucky. I could have died or been paralyzed. He said the circus offered to refund his family’s tickets and give them a free visit, which he hopes to accept. The traveling circus has launched an investigation into the accident.